The Oregon Coast is home to 12 lighthouses, many of which were commissioned during the 19th century. Most of the historic sites cluster around the northwest tip of the state where Lewis and Clark’s Corps of Discovery finally reached the Pacific Ocean and John Jacob Astor founded what would become the first city in the state, Astoria. But there’s plenty to see down south, too — whether you’re looking for a peek into 19th century farm life or a glimpse at one of nine year-round lifeboat stations from the mid-1900s. This list has every single Oregon lighthouse plus a half dozen notable historic sites you won’t want to miss either. 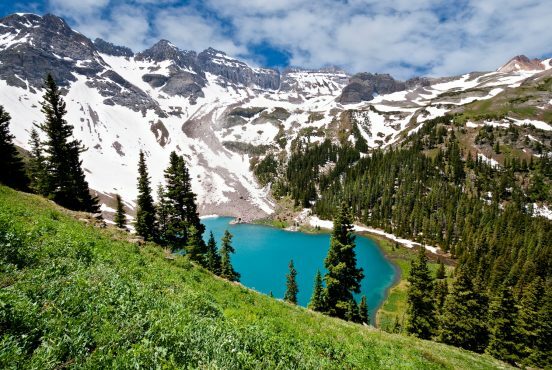 We’ve also outlined a great hike to go with each one in case you want to make your visit extra adventurous. 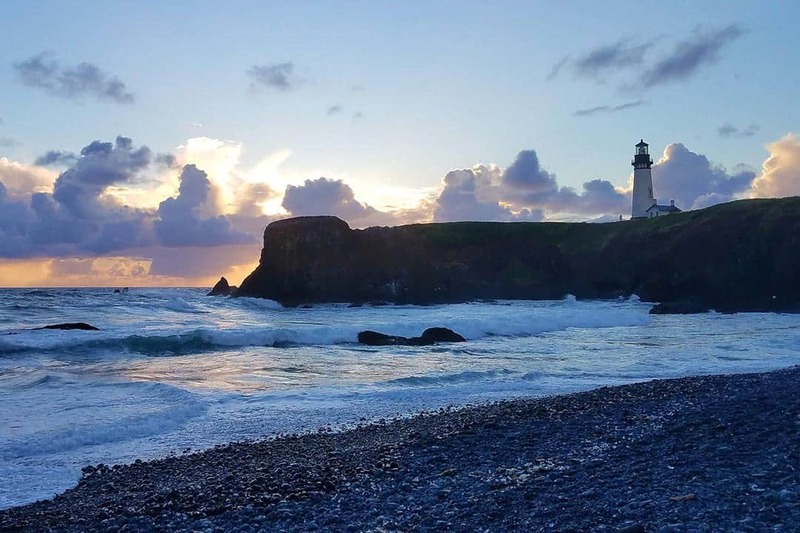 So grab your hiking boots and ready for a history lesson as we guide you through our favorite lighthouses and historic sites on the Oregon Coast. With a viewing deck 600 feet above sea level, the Astoria Column offers unrivaled views of the Columbia River, Young’s Bay, the Coast Range, and in the distance, the Pacific Ocean. 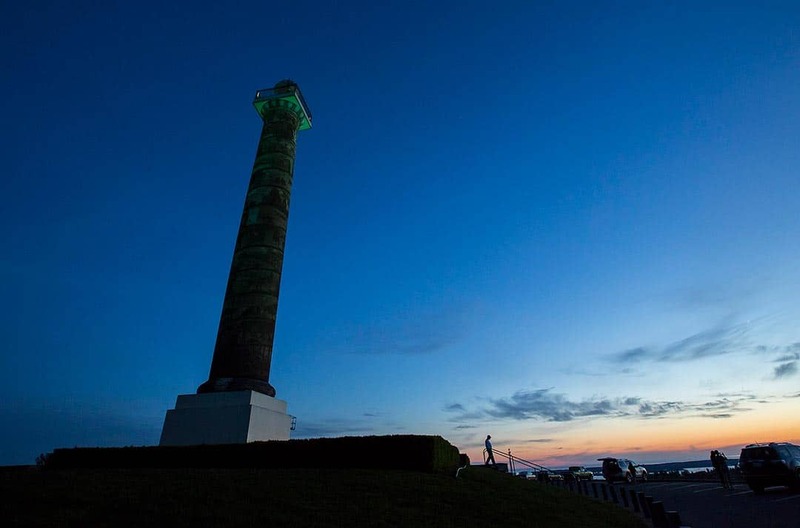 More than 400,000 people visit the Astoria Column each year, making it one of the most visited parks in all of Oregon. 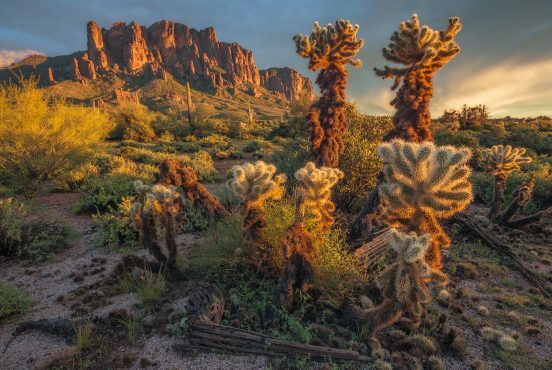 Most come for the sweeping panoramic vistas, but if you look closely you’ll appreciate the history, too. Modeled after Trajan’s Column in Rome, the Astoria Column features original artwork by Italian artist Attilio Pusteria honoring the rich history of Columbia River Mouth. Using a unique technique known as sgraffito, Pusteria depicts three important episodes in the region’s Euro-American history: the explorations of Robert Gray, the arrival of Lewis and Clark’s Corps of Discovery, and the arrival of the Tonquin, the ship John Jacob Astor used to establish an outpost for the Pacific Fur Company. There’s no charge to climb the Astoria Column and enjoy the viewing platform, though the park charges a small parking fee for vehicles. You’ll find a small gift shop near the column where your little ones can buy a model airplane to fly from the top of the Column. You can skip the parking fee by taking the Cathedral Tree to Coxcomb Hill Hike, which culminates at the Astoria Column. The three-mile lollipop loop also includes a visit to the Cathedral Tree, a giant 300-year-old Sitka Spruce with a hollow base that you can walk inside. 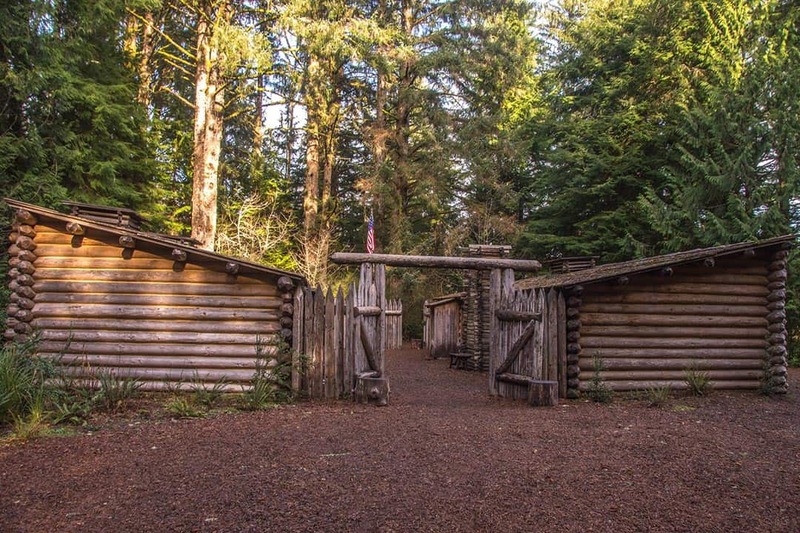 Fort Clatsop served as the winter encampment for Lewis and Clark’s Corps of Discovery from December 1805 to March 1806. Through the winter they traded with the local Chinook Indians, repaired clothing and equipment, and gathered food for their journey home. The original fort didn’t survive, but there’s an excellent replica of Fort Clatsop on the original grounds based on descriptions from Lewis and Clark’s journals. The visitor’s center features an exhibit hall and bookstore, and there are illustrative trails throughout the surrounding area. The best part of Fort Clatsop is the costumed actors and ranger-led programs, though these are only available over the summer from mid-June through Labor Day weekend. They also run a special program the week after Christmas, with limited events the rest of the year. The park itself is open year-round, so don’t rule out Fort Clatsop just because you can’t make it when the rangers are wearing beaver hats and moccasins. The easiest hike to Fort Clatsop is the Netul River Trail along the Lewis and Clark River. If a 2.4-mile river-walk sounds too easy, you can take the 13-mile Fort to Sea Hike from Sunset Beach. 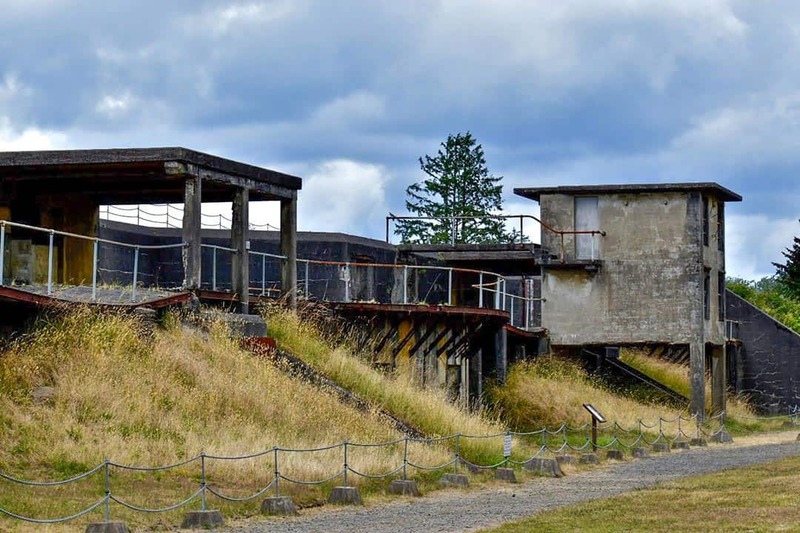 Once the primary military defense installation in the three-fort Harbor Defense System at the mouth of the Columbia River, Fort Stevens served as an Army base from the Civil War until the end of World War II. You can walk the grounds at your own pace on the Fort Stevens Military Loop Hike, but the best way to appreciate the area’s rich history is from the back of a WWII Army transport truck on a guided tour. You’ll see the Civil War earthen fort, tour the concrete coast artillery gun batteries, and get a feel for life inside a military jail as you walk through the last brick guard house in the country. The tour also takes you underground through a rare gun battery that served as a World War II command center. When you’re done touring the grounds, check out the museum for a closer look at the details in Fort Stevens’ history. There’s also a beautiful community garden off the museum that honors local veterans. Named after the owner of a British shipping fleet, the steel-hulled barque was sailing from Mexico to Portland when it ran aground in October 1906. When weather conditions buried the hull in sand and scattered hopes of retrieval, the ship was sold for scrap. Now, all that remains is the ghostly shell of the rusted bow and ribs. 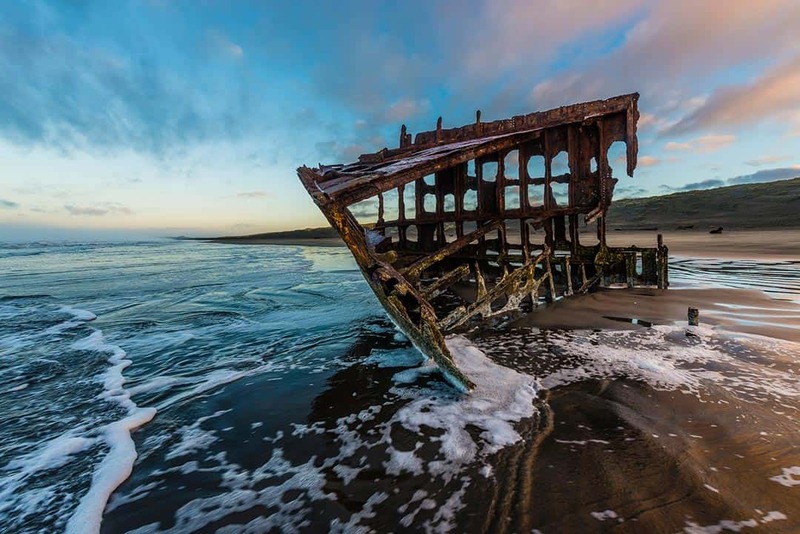 It only takes a few minutes to walk down to the beach and see what’s left of the shipwreck, so we recommend using the rest of your afternoon to appreciate everything else Fort Stevens State Park has to offer. 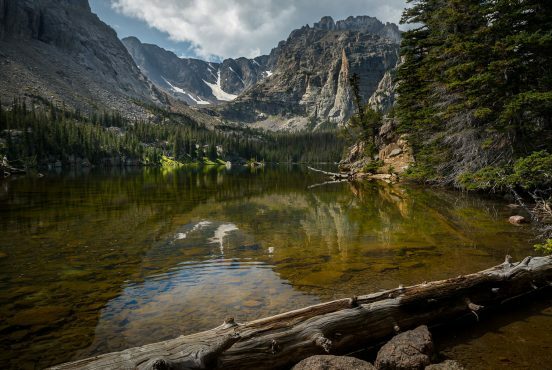 With nine miles of paved bike trails and six miles of hiking trails, there’s plenty to explore. Start with the Fort Stevens State Park Loop, then head up to the Clatsop Spit Loop Hike to see the South Jetty. With a nickname like “Terrible Tilly,” you know the Tillamook Rock Lighthouse has a few stories to tell. 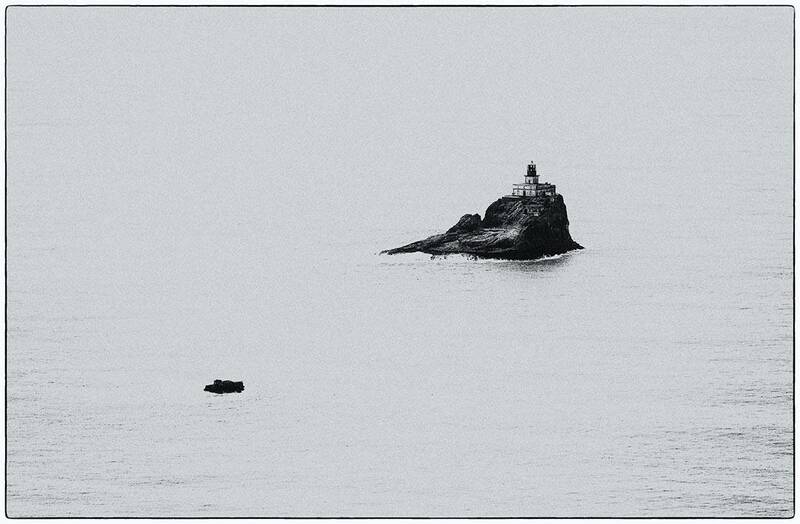 Resting atop a basalt sea stack over a mile off Tillamook Head, it’s a miracle the lighthouse is still standing after over a century of battling gale-force winds and massive breakers. It took over a year-and-a-half to build the Tillamook Rock Lighthouse before it officially opened in January 1881. On top of abysmal construction conditions, a master mason was swept out to sea while surveying the site. At one point, the construction crew was marooned on the island without provisions for two weeks when the waves swept away their tools and supplies. After completion, conditions were so challenging for the four-person lighthouse crew that they received special permission for shorter rotations. Even then, 42 days on and 21 days off was mentally and physically grueling for the lighthouse keepers. The Tillamook Rock Lighthouse’s lantern room and Fresnel lens were smashed by boulders during a winter storm in 1934, but the lighthouse wasn’t decommissioned until September of 1957. It’s now under private ownership and closed to the public, but you can enjoy distant views of Terrible Tilly from Ecola State Park. For a short hike with an excellent vantage of the Tillamook Rock Lighthouse, try the three-mile Clatsop Loop. If you’re in the mood for a full tour of Tillamook Head, you can reach the same viewpoint along the longer Tillamook Head Traverse Hike. You’ll find the Cape Meares Lighthouse on the north end of the picturesque Three Capes Scenic Route, about ten miles west of Tillamook. The park grounds are open year-round from 7am to dusk, though the lighthouse is only open from May to September. 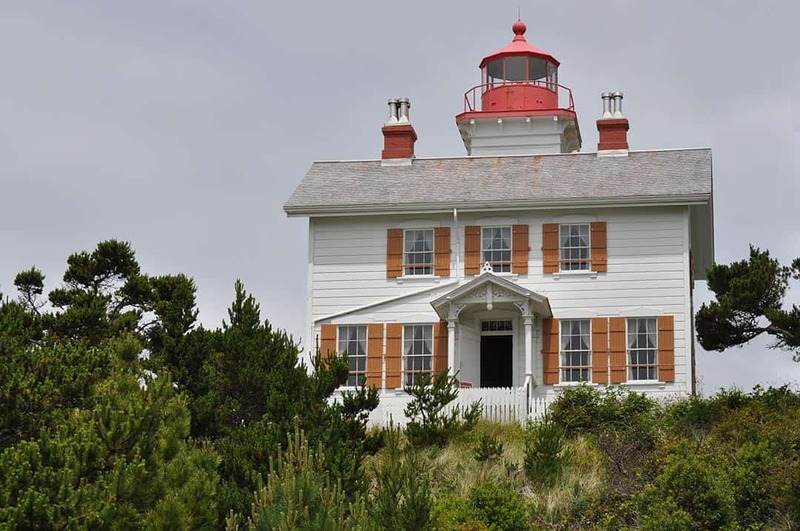 Originally commissioned in 1889, the Cape Meares Lighthouse is a relatively small lighthouse. Of course height isn’t much of an issue when you’re sitting on a cliff 200 feet above the water, so the shorter profile was never an issue for ships at sea. The distinctive feature here is the lighthouse’s Fresnel lens. After being manufactured in Paris, the lens was shipped around Cape Horn and hoisted up the towering cliffs of Cape Meares — an impressive feat in 1889. The lighthouse remained in service for 74 years until it was decommissioned in 1963. The lighthouse is the centerpiece of the Cape Meares State Scenic Viewpoint, but it’s not the only attraction here. Follow the Cape Meares Hike and you’ll see the Octopus Tree (I trust you can picture it based on the name), and the Big Sitka Spruce, the largest Sitka Spruce in the state of Oregon. The clifftop viewpoint near the lighthouse offers tremendous views of Three Arch Rocks, and is a popular whale watching spot during migration season. Originally constructed by the US Army Corps of Engineers, the 93-foot Yaquina Head Lighthouse is the tallest lighthouse on the Oregon Coast. It stands on the tip of a rugged basalt peninsula that extends almost one mile into the Pacific Ocean. Unlike the many decommissioned lighthouses you’ll find along the Oregon coast, the Yaquina Head Lighthouse is still active. The 1868 Fresnel lens has been modernized to run on commercial power, and the oil-burning wicks have been replaced by a 1000-watt globe. Passing ships can see the light up to 20 miles out at sea. The lighthouse is operated by the Bureau of Land Management, and the local staff is more than happy to take you up the winding staircase for a tour. The view from atop the lighthouse is extraordinary, offering an excellent vantage of nearby Colony Rock. Keep a sharp eye out for seals and sea lions in the swells below, and gray whales off the coast during migration season. If you have enough time to make an afternoon of your visit, pack your hiking boots and hit the Yaquina Head Hike. The 3.4-mile hike takes you to the lighthouse, Quarry Cove, Cobble Beach, Communications Hill, and Salal Hill. The Yaquina Bay Lighthouse is the last remaining wood lighthouse of its kind in the Pacific Northwest. It’s also the oldest building in the town of Newport. 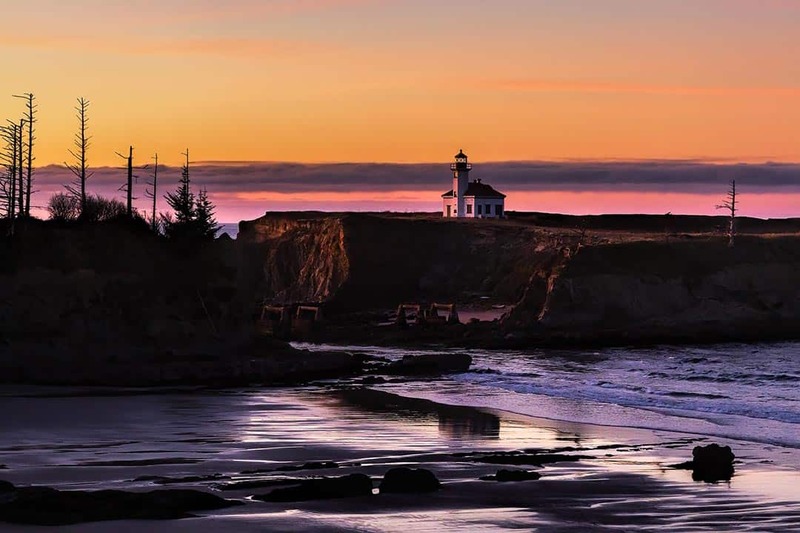 Originally constructed in 1871, the Yaquina Bay Lighthouse only served the area for a few years until the Yaquina Head Lighthouse was commissioned. 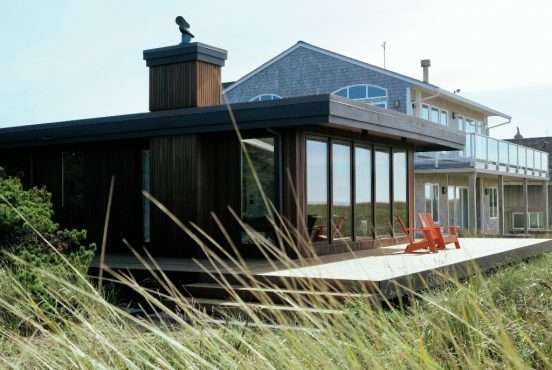 The building fell into disrepair after being decommissioned, but was later refurbished as the residence of John Polhemus, chief engineer with the Army Corps of Engineers for the North Jetty project. Over time the Yaquina Bay Lighthouse served the US Lifesaving Service and the US Coast Guard before it was abandoned again. The lighthouse was nearly demolished at one point, but it was eventually restored to its former glory in 1974. In December 1996, the light was restored to the Yaquina Bay Lighthouse after over a century of going dark. Today, it serves as a US Coast Guard Beacon, shining a steady white light for local mariners from dusk to dawn. You can reach the Yaquina Bay Lighthouse on two hikes: the Newport Beach Hike, and the Newport Bayfront Hike. The light itself is closed to the public, but you can still explore parts of the home. There’s a covered display detailing local shipwrecks, and a memorial for local fishermen who have perished at sea. The Cleft of the Rock Lighthouse is one of two Oregon lighthouses that are part of a private residence. You can’t visit or tour this lighthouse, but you’ll enjoy an excellent vantage of the unique structure along the Amanda’s Trail Hike. 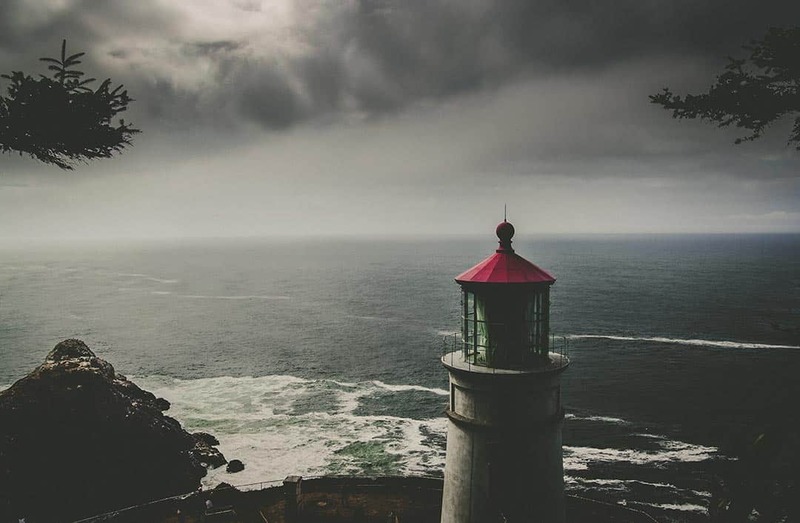 The Cleft of the Rock Lighthouse is sometimes referred to as the Cape Perpetua Lighthouse, as it’s nestled on the north spur of Cape Perpetua under the shadow of the cape. The lighthouse marks the cape for ships sailing between Coos Bay and Yaquina Bay. The lighthouse was built in 1976 by Jim Gibbs, who served as a lighthouse attendant at the notorious Tillamook Rock Light up the coast. The Cleft of the Rock Lighthouse is modeled after the Fiddle Reef Lighthouse on the southern shore of Vancouver Island, and incorporates various pieces of West Coast lighthouses to preserve their rich maritime history. The optic lens actually comes from the Solander Island Light off Vancouver Island. Built in 1894, the Heceta Head Lighthouse was the last federal lighthouse built on the Oregon coast. The automated beacon is the strongest on the Oregon coast, visible up to 21 miles out to sea. It’s also the most photographed lighthouse in Oregon. 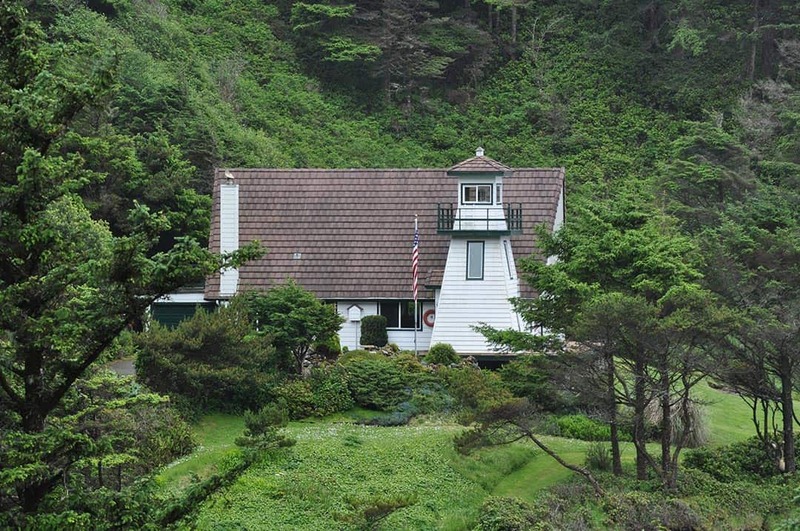 The Heceta Head Lighthouse was recently restored to its original glory, though the chief lighthouse keeper’s old house was demolished in 1940. Today, one of the two oil houses serves as a small museum, the old garage houses a little gift shop, and the assistant lighthouse keepers’ house is a charming bed and breakfast. Tours are available year-round, though you can’t see the Fresnel lens. Apart from the lighthouse’s rich history, the location offers incredible views of the surrounding area. From the top of the lighthouse you’ll see south to the Devil’s Elbow headland, Devil’s Elbow Beach, and the Cape Creek Bridge. The grounds provide an excellent vantage of Conical Rock, part of the Oregon Islands National Wildlife Refuge. You’re welcome to park at the Heceta Head Lighthouse State Scenic Viewpoint for a small fee, but we prefer to make the journey on foot. 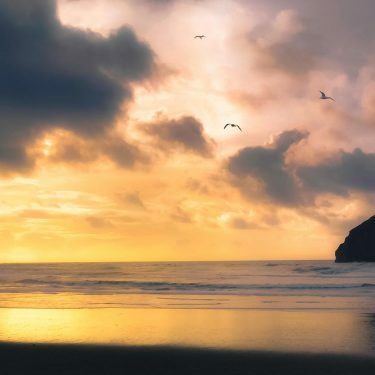 The 6.3-mile Hobbit Beach to Heceta Head Hike offers the best views along the journey, while the 3.4-mile Heceta Head Hike offers a shorter alternative for those with less time to spare. Fun fact: the Umpqua River Lighthouse is actually the second lighthouse in this area. Oregon’s first lighthouse was constructed nearby on the river in 1857, but the structure collapsed in 1863. The region remained dark for over 30 years until the Umpqua River Lighthouse came online in 1894. The Umpqua River Lighthouse is an outlier on the Oregon coast. It’s unusually far from the coast (the farthest of any maritime lighthouse in the state, actually), and it’s the only lighthouse that emits a bicolored beam with alternating red and white flashes. The Coast Guard declared the lighthouse unnecessary for safe maritime navigation in 2009, so Douglas County took over the maintenance and tours. The museum is publicly accessible, but you’ll need to sign up for a tour to visit the lighthouse itself. 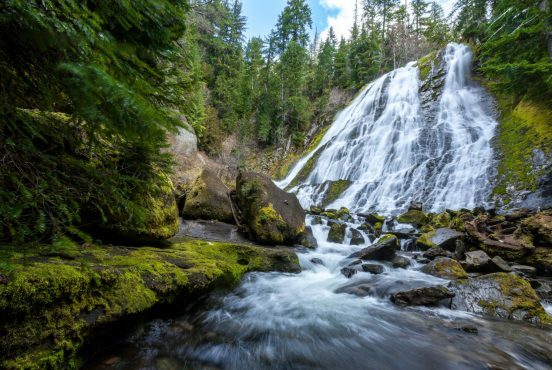 The best route to the Umpqua River Lighthouse is the Lake Marie Loop Hike. This quick, 1.7-mile loop with two spurs takes you all the way around Lake Marie for a full tour of Umpqua Lighthouse State Park. The Cape Arago Lighthouse sits on Chief’s Island off Gregory Point. The structure you see today is actually the third iteration of the Cape Arago Lighthouse. The first was built in 1866, and the second version was built in 1908. The third time must have been the charm, as the 1934 building still stands today. Take a peek at this lighthouse from a distance and you’ll quickly see how transportation to the lighthouse was historically a challenge. The first lightkeepers traveled to Chief’s Island by boat, a short but perilous journey that resulted in at least one death. Several low bridges were built and subsequently destroyed by winter storms. They tried a wire-rope tramway across a higher passage, but that ended in disaster when the cable broke and an assistant fell to the rocks below. Eventually they built a high bridge across the passage in 1898, though it has since been dismantled. The Cape Arago Lighthouse was deactivated in 2006. In 2013, the government signed Chief’s Island and Gregory Point over to the Confederated Tribes of Coos, Lower Umpqua, and Siuslaw Indians. Public access is no longer permitted, but you can appreciate the Cape Arago Lighthouse from a few nearby viewpoints. Our favorite spots are from Shore Acres State Park via the Shore Acres Loop Hike, and Yoakam Point via the Yoakam Point Loop Hike. If you don’t feel like getting your boots dirty, you can also see the lighthouse from Lighthouse Beach. One of the smaller lighthouses on the Oregon coast, the 47-foot Coquille River Lighthouse was built in 1896. It was the last official lighthouse constructed on the Oregon coast. 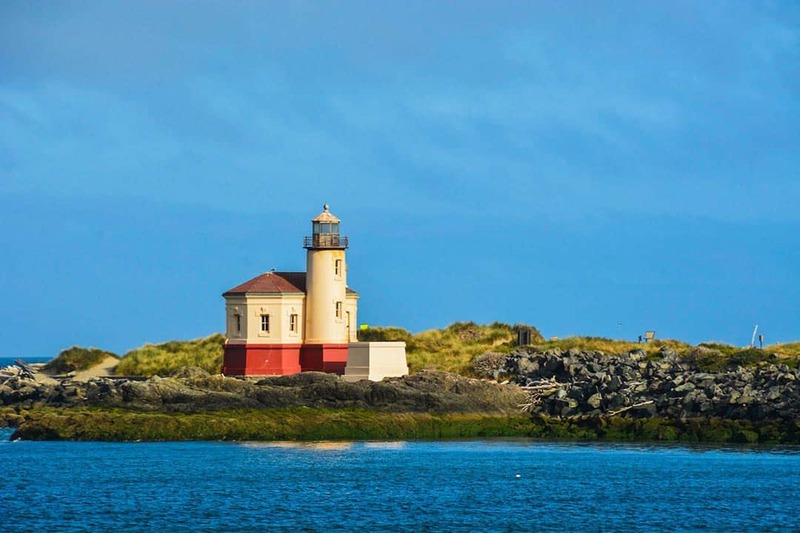 Most lighthouses have a rich maritime history, but the Coquille River Lighthouse is one of the few with direct ties to the land. When a giant fire broke out in 1936 and destroyed the town of Bandon, the lighthouse served as the refugee center for residents escaping the ruined city. The lighthouse’s tender ferried the townspeople across the river to safety, earning a special place in the town’s history. Sadly, the lighthouse was abandoned by the Coast Guard a few years later in 1939. 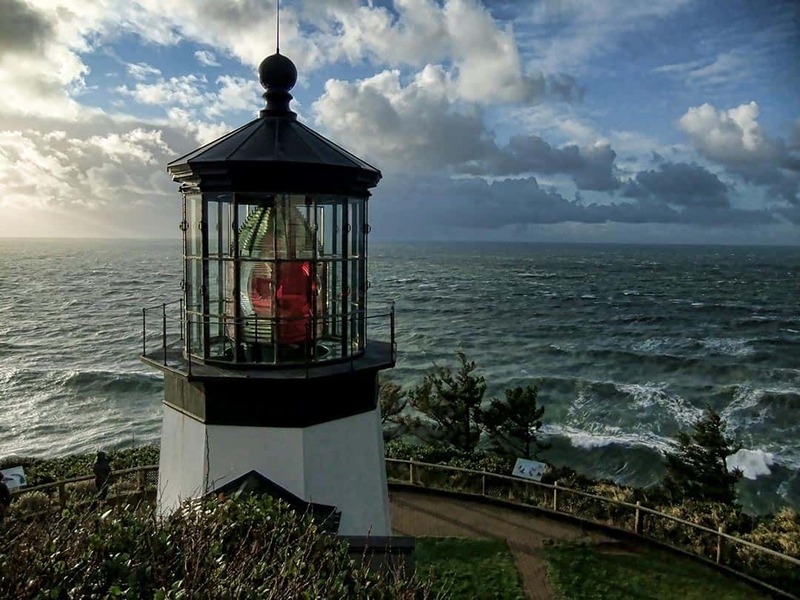 The Army Corps of Engineers worked with Oregon State Parks to restore the lighthouse beginning in 1976, and there were major repairs in 2007 to mitigate storm damage. The light itself is unsafe and closed to visitors, but the signal room is open for the public. The best way to reach the Coquille River Lighthouse is on the Bullards Beach Hike, an easy 4.6-mile in-and-out hike around Bullards Beach State Park. 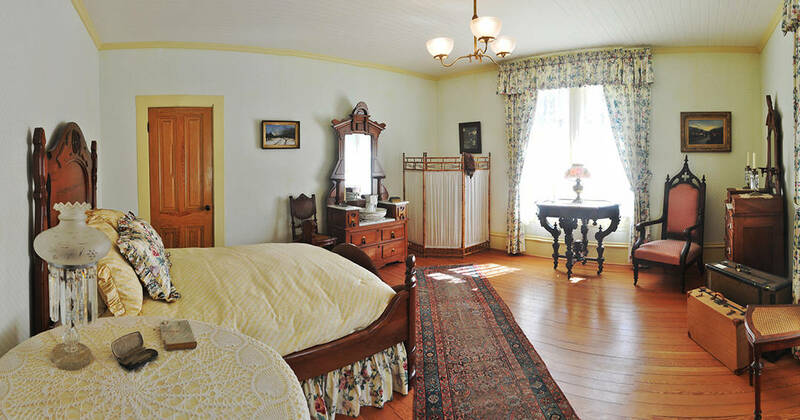 For a taste of 19th century farm life, head to the historic Hughes House in southern Oregon. The home was constructed in 1898 by an Irish immigrant named Patrick Hughes, who ran a profitable dairy farm in the area. The home remained in the Hughes family for over 70 years until Patrick’s descendents sold the land to Oregon State Parks in 1971. The Hughes House was designed and built by a Swedish immigrant using old-growth cedar from Port Orford. The 11-room home is remarkably well-preserved, and the entire house is open for tours from April to October. The tour guides often don period attire and reenact living history conversations, so it’s a fun experience for history buffs. The best way to get to the Hughes House is on the north loop of the Cape Blanco Loop Hike. You’ll find a trail to the Hughes House near the Sixes River Trailhead. The Cape Blanco Lighthouse sits 245 feet above the sea on the state’s westernmost tip. Originally constructed in 1870, it’s the oldest continually operating beacon of Oregon’s 12 lighthouses. That’s not the only claim to fame — the Cape Blanco Lighthouse claims the highest perch of Oregon’s lighthouses, the first female lightkeeper in the state, and the longest serving lightkeeper in state history (with an impressive 42-year service record). Loggers leveled the spruce forest that once covered the headland in order to improve visibility, so you’ll enjoy magnificent views from the lighthouse grounds. Look north to see Gull Rock, Castle Rock, and Blacklock Point, then swivel south to see Port Orford Heads, Humbug Mountain, and Cape Sebastian in the distance. Cape Blanco has a nasty reputation for rough winter storms, so it’s best to visit during the warmer months from April through October. Tours are available Wednesdays through Mondays from 10am to 3:15pm. 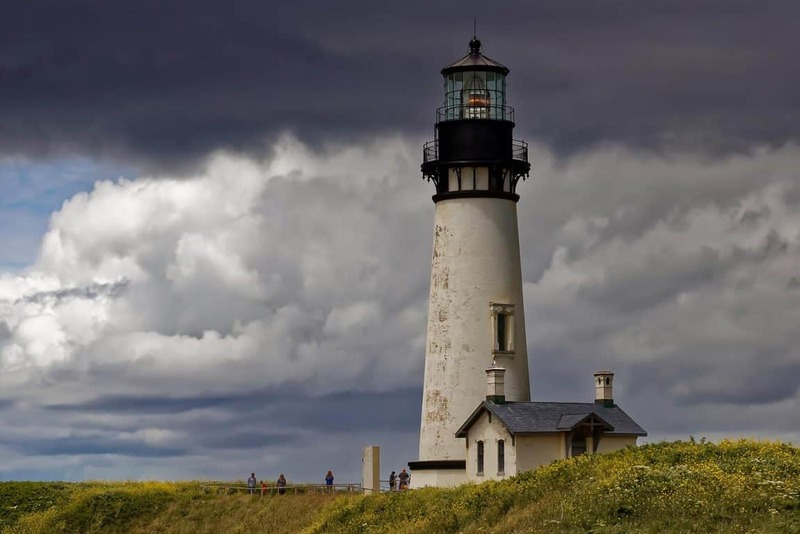 This is one of the most popular lighthouses in Oregon, so the tours fill up fast. 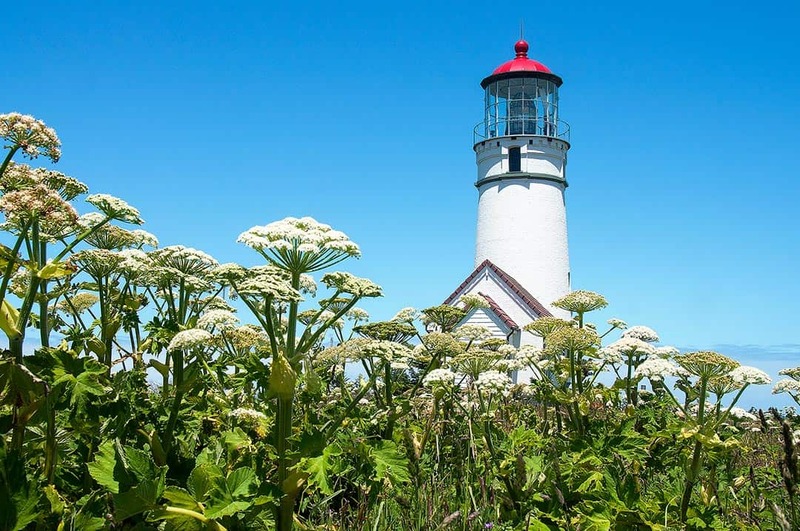 The best way to enjoy the lighthouse and Cape Blanco State Park is on the Cape Blanco Loop Hike. 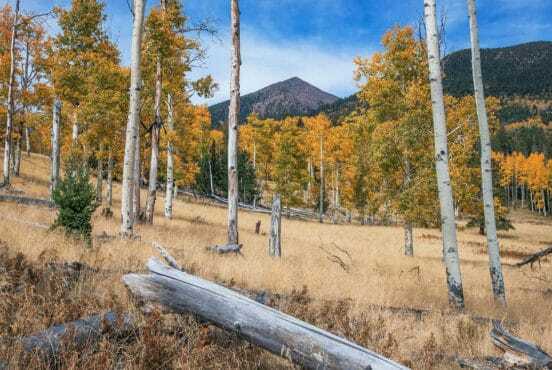 The hike consists of two loops, taking you south to the Elk River Mouth and Needle Rock, then north to the Sixes River Mouth. The 300-foot-tall headland of Port Orford Heads hosted the dwellings and offices of the Port Orford Lifeboat Station from 1934 to 1970. The station was one of nine year-round lifeboat operations on the Oregon coast. The Port Orford Lifeboat Station kept their lifeboats down in Nellie’s Cove, accessible via a long, narrow staircase that you can still see today. The self-righting lifeboats were designed to handle any conditions at sea in the process of rescuing crews, assisting vessels in distress, and salvaging cargo. You’ll find a fascinating history of the operation’s efforts when you visit the Port Orford Lifeboat Station. They were particularly active during World War II, and managed to rescue survivors from an American tanker that was torpedoed by a Japanese submarine. Today, the barracks building serves a small museum. You can tour the other buildings in the complex, and there’s a restored lifeboat on display. You’ll also enjoy magnificent views of the surrounding area, especially from the old Port Orford Lookout Tower Site. After parking at Port Orford Heads State Park, the best way to explore the area is on the Port Orford Heads Loop Hike. The short, 1.2-mile loop takes you through the Port Orford Lifeboat Station and serves up plenty of picturesque viewpoints. 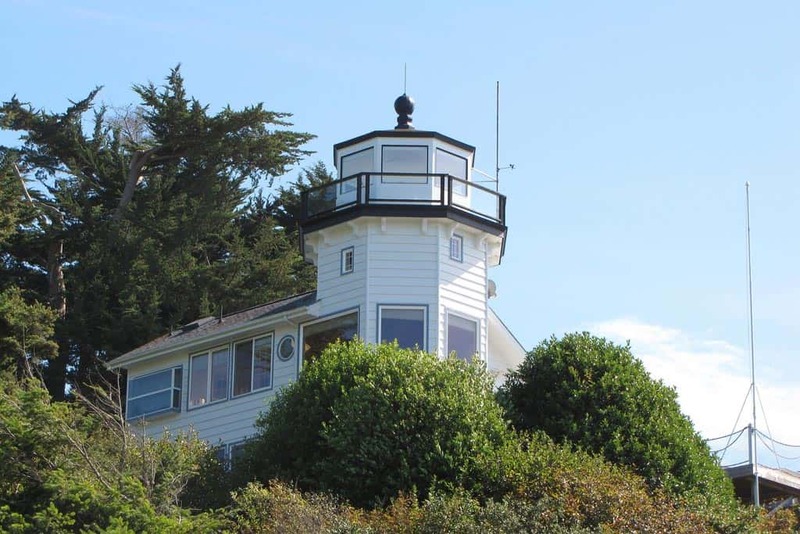 The second of Oregon’s two privately operated lighthouses, the Pelican Bay Lighthouse sits on a bluff above Brookings Harbor near the mouth of the Chetco River. The light was commissioned by the Coast Guard in 1999 and represents one of the newest lighthouses in the entire country. 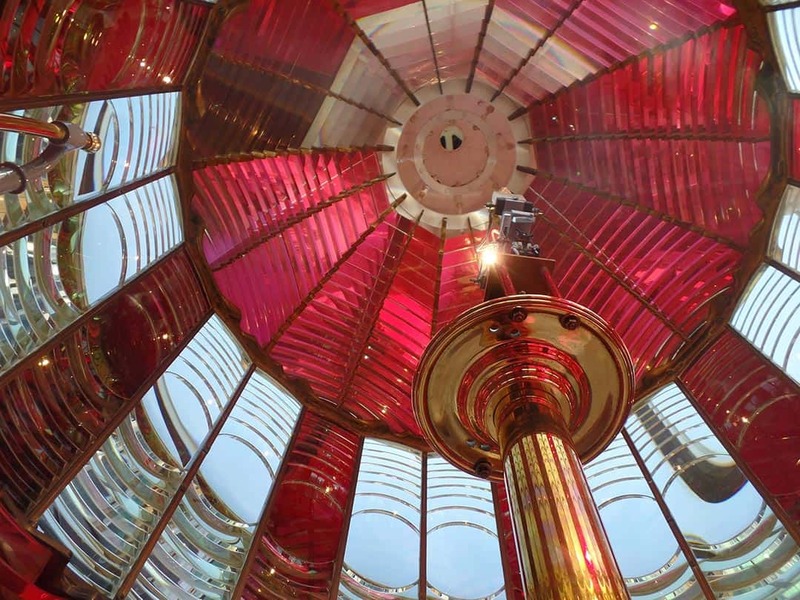 The Pelican Bay Lighthouse features an acrylic Fresnel lens that’s visible up to 12 miles out to sea. It’s the southernmost lighthouse in Oregon, and one of seven that’s still in operation. As this is a private lighthouse, don’t expect a museum or private tours. You can view the Pelican Bay Lighthouse up close from the harbor below, or across the harbor from Chetco Point. We prefer the latter viewpoint, as the the Chetco Point Hike also offers beautiful views of Table Rock, Mill Beach, Zwagg island. Looking for more activities to complete your Oregon coast vacation? 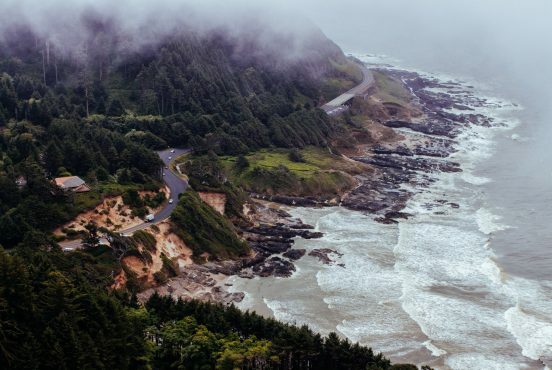 Check out our favorite Oregon Coast Hikes, and the top 12 Places to Visit on the Oregon Coast. 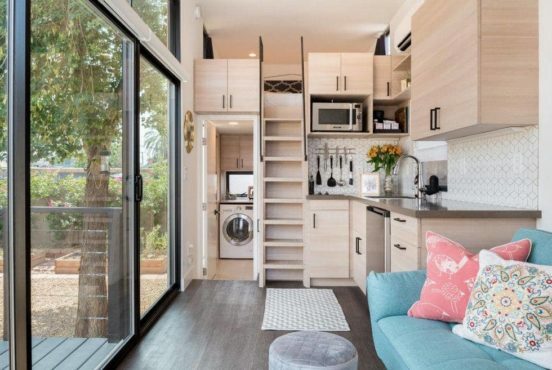 For recommendations on where to set up your base camp on the Oregon coast, see our articles on the Best Treehouse Rentals in Oregon, the Best Oregon Coast Cabin Rentals, and the Best Oregon Coast Vacation Rentals.